A little advance planning can make your stay in the Eternal City much easier since you’ll be assured of avoiding long lines that are common at the most popular sites. Here are the sites we recommend you book well in advance of your Rome stay. Book a tour and get all the insight of a professional guide and, also, get access to places not open to the general public such as the underground areas. If you buy the Roma Pass, you can go around the line to a separate entrance and walk in. The pass gives you free entrance to 1 or 2 museums (the Coliseum counts as one of them) as well as unlimited transport for several days. The Coliseum is located right by a subway station, handy. Galleria Borghese Museum – this jewel of a museum is also small, so a visit can be planned for less than two hours. Make your reservation well in advance. If you wait until you get to Rome chances are it will already be sold out. Book online on the somewhat awkward site or, easier with some guided options on this site. If you buy the Roma Pass, then telephone for the reservations for the Borghese Gallery and Palazzo Valentini. See the FAQ on the RomaPass site for how to book those museums. See our nice blog article on some highlights. Domus Romane of Palazzo Valentini – Really special, see our Blog. You need to go on the tour and there are limited English language times. Book online on their rather challenging site or this easier booking service. Domus Aurea – Fascinating “Golden House” of Nero filled with stories of ancient Rome as well as the discovery of this lost monument to Rome’s most hated emperor. Opening dates and times are limited. Read about it then book online. 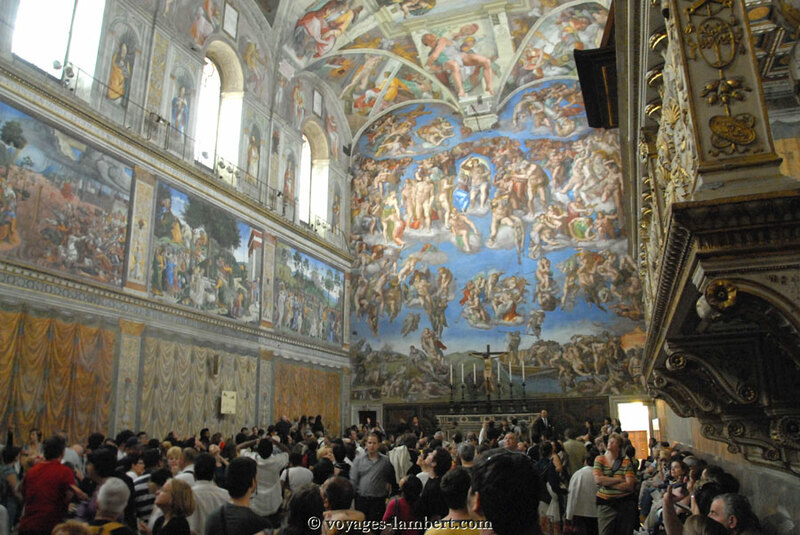 Vatican Museums & St. Peter’s Basilica – Almost always there is a long line for the Vatican Museums. This is a very large museum that also includes the Sistine Chapel. (If you are traveling with younger children, we suggest saving this until they are older, it can be too much.) A guide can help you navigate so you can take in highlights and if you chose a private guide or the right tour, even children can enjoy. A suggestion is to combine a guided, skip the line tour with a visit to St. Peter’s Basilica that is a separate location and unless you are on a tour, about a 15 minute walk apart. Lines for St. Peter’s aren’t always very long and it is lovely to just “be” in that vast holy space, but if you go with a guide, you’ll see and learn things that will astound you. And then, when the tour is over, you can wander and meditate in the vastness of the largest church in the world. Many of the rich art of Italy can be found in churches that often have free entrance. We recommend a small donation to support their generosity and, of course, respectful silence. A note about the RomaPass: We have done the math for ourselves and others and find that it is usually a break-even investment. Sistine Chapel photo from Voyages Lambert. Thanks for sharing this. Dealing with long lines is hardly ever fun, so it’s good to know there are reliable ways to book ahead. I’ll have to look into these next time I’m touring the city.